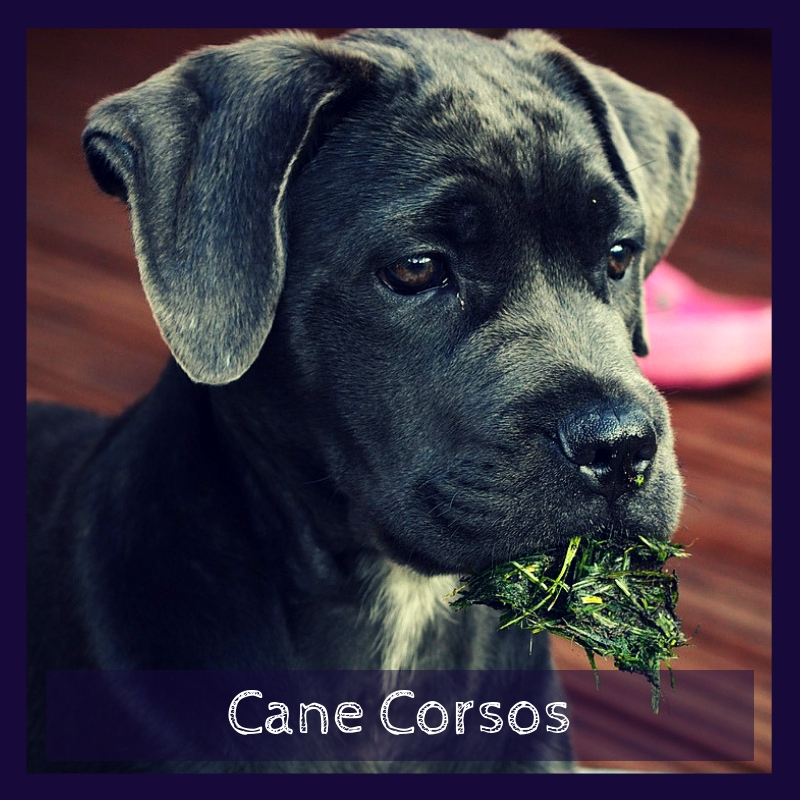 Known as a very smart dog, the Cane Corso is extremely affectionate and actually a large dog at just over 2 feet. They have an assertive personality and tend to be quite confident, which makes them an excellent protector as a guard dog. They’ve been around since ancient Rome and the name is actually Latin for bodyguard dog. The large head and the extensive muscles make the Cane Corso look quite intimidating and they are definitely a good defensive guard dog. They have a very short coat that makes those muscles stand out even more and they have the type of demeanor that you would expect from a dog that’s designed to protect its owner. Extremely loyal and eager to please, these dogs are actually great for a number of different traits, though it’s important to socialize them with other dogs and with people very early to keep them friendlier. They tend to be quite willful and it’s very possible that they will end up in charge rather than their owner. Proper nutrition is important with any type of dog and with this breed, you’ll want to make sure you give them high-quality food and the right amount of it. Keeping treats to a minimum to avoid overfeeding and avoid obesity is important, which means making sure you check with your vet about rules and proper feeding schedules. You’ll want to give them the right type of diet for their age and make sure you avoid human food that’s not good for them. Your vet can help you better understand the ideal weight for your dog (around 100 pounds) and how to keep to that weight by following a regular feeding schedule. You should always keep plenty of water around for adequate nutrition and health. You’ll find that this type of dog breed, with its very thin coat, doesn’t shed very much, and therefore doesn’t require a lot of grooming. Brushing their coat with a bristle brush or even a mitt each week is generally enough, though a conditioner will make the coat shine even more. Bathing your Corso puppy should be done every three months or more frequently as needed and you should be careful to use a mild type of shampoo. When it comes to brushing teeth and trimming nails, these things should be done regularly. Nail trimming should be done at least once a month and ears should be checked each week to look for any kind of ticks or infection. Getting your dog used to this from a young age will make sure they’re more comfortable later on. 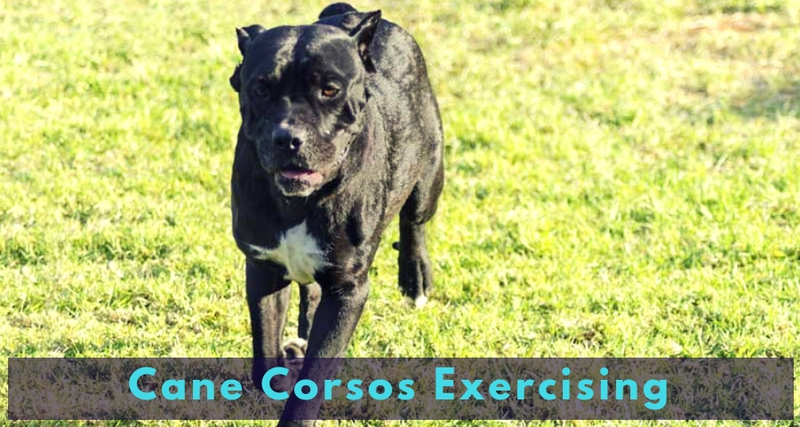 Moderate activity is an important aspect of owning a Cane Corso and should be considered before you decide to take one in. They need to have something to do with their time as well, which could be something as simple as walking or running with you each day. Getting out in the fresh air is important and this type of dog needs at least 20 or so minutes a day of training and at least a mile of walking to be happy. Because they are extremely territorial, it’s important to keep your dog away from cats and smaller dogs. They can be prey driven and they need a great deal of protection to keep them inside of a fence or yard. This means at least a 6-foot fence but not an electronic fence as they won’t keep the dog contained. Make sure you also keep them well trained and make sure that they are active or they will get bored and this can lead to destructive behavior. Training is extremely important when it comes to this breed of dog and it should be started as early as possible. Treating everything that your dog gets as a reward for proper behavior is one way that you can make them happier and make sure that they are obedient to your wishes. Obedience classes and socialization are extremely important so these dogs don’t become too aggressive and to help curb some of the territorial aspects of their nature. It will help them differentiate between protection and normal friends. Are Cosos Ideal For ESA Companions? In general, a Cane Corso is not a very good dog for an emotional support K9 puppy. They can have some good traits and were once considered a watchdog or even a hunter, but they can be quite large and extremely stubborn. This makes them difficult for those who want an emotional support animal that does well in public. The dog itself tends to dominate what’s going on around them and they don’t always like to listen to their owners. While they will eventually form a strong bond, they’re not ideal for someone who needs the additional support or for someone needed an ESA dog for flying commercial airlines. There are some health problems that can be seen frequently in this type of dog, which is important to watch for. A reputable breeder will make sure to check for and test for these conditions but it’s also something that you as the owner should be aware of. 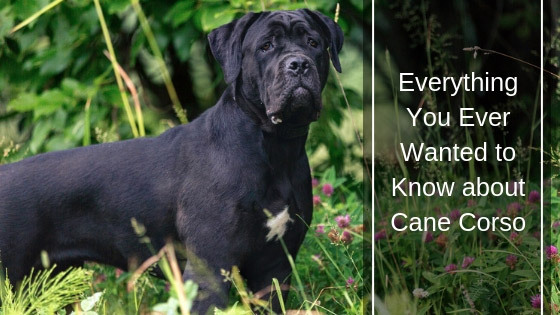 Like with most Mastiff breeds, owners need to make sure they keep an eye on the general health of their dog as well and make sure to watch their weight, eating habits, and general health in order to keep them in prime condition. In general, what you’re going to find with the Corso puppy is an extremely loyal companion that is fiercely protective. This can be a problem if you have small children in the house and it’s extremely important to keep this dog breed away from other dogs and cats. They need to be the only dog in your household and should never be left alone with children or strangers. They aren’t ideal for support animals, but they can be good pets if you are careful and if you get started with training right away. Make sure they get the exercise they need as well to avoid destructive behavior.